The dawn of time! Nothing on earth could rival the terrifying power of the dinosaurs. Except maybe that wolf over there...Yeah, the one standing next to the snake and the shark and that other sardiney-looking thing. Huh?! This is all wrong. This is all bad. This is all awesome. Its time to get your Jurassic on, baby. 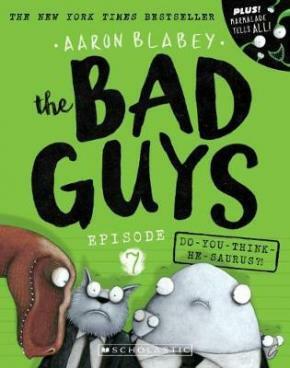 It's time... For the Bad Guys Episode 7!